Grow your longarm skills with an interactive, hands- on group or individual technique and skill building class taught by Joyce. More info. 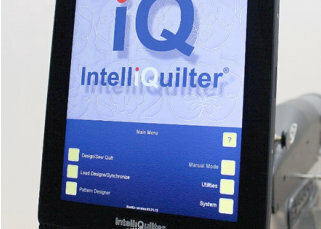 Add the precision of computer guided quilting to your longarm system with IntelliQuilter for most major brands and models (including Nolting). Nolting machines are only designed and built for longarm quilting. Their commercial construction means that they last for many, many years with a minimum of maintenance. Nolting offers quality used longarm machines and frames that will save you money. 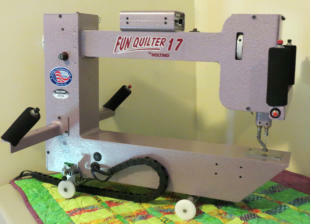 Have the enjoyment and onwership start to finish on your quilts by renting time on our Nolting machines putting on the finishing touch quilting it yourself. Precision computer guided quilting with Quiltmagine designed to work with any Nolting stitch regulated machine on a Nolting commercial (steel) frame. to your existing Nolting or other major longarm brand. 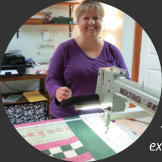 Begin your “delightful” longarm quilting journey today! 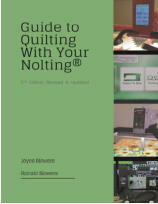 We wrote the book on Nolting Longarm. More. Adventure Days at Delightful Quilting & Sewing • April 27, 9am-3pm. Adventures in Computer Guided Quilting - open house, fun, hands-on, give it a try. Enjoy precision stitching of patterns you would never dream of doing hand guided. Quiltmagine and IntelliQuilter both available for you to try. More. 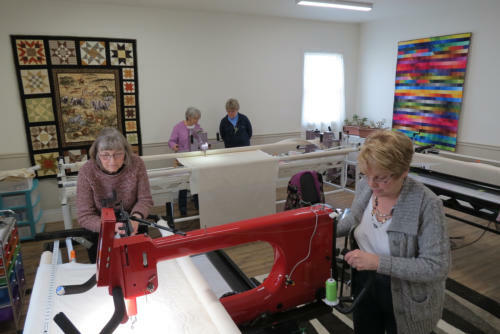 • May 4, 9am-3pm, Adventures in Longarm Quilting - open house, fun, hands-on. It isn’t hard, only five moves! Imagine the possibilities of quilting more quilts, and more easily. Several Nolting models ready for you to try. Special prices on used machines. More. Your one-stop shop for longarm machines, computer guided systems, and longarm and computer guided education. 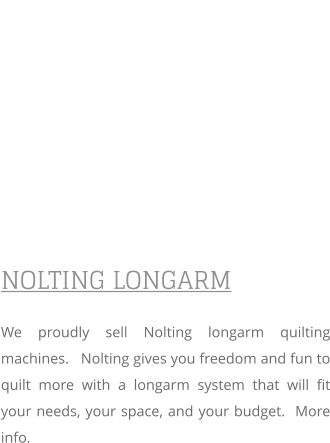 We proudly sell Nolting longarm quilting machines. 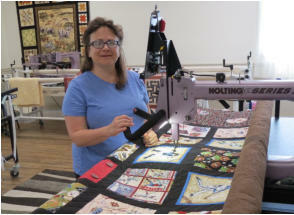 Nolting gives you freedom and fun to quilt more with a longarm system that will fit your needs, your space, and your budget. More info. 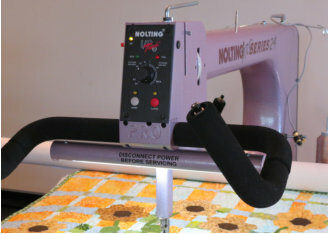 Nolting machines are only designed and built for longarm quilting. Their commercial construction means that they last for many, many years with minimum maintenance. 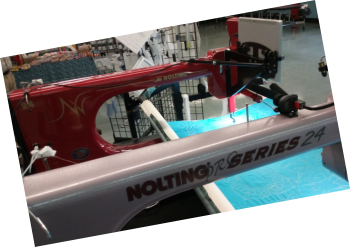 Nolting offers quality used longarm machines and frames that will save you money. Enjoy the precision of computer guided with Quiltmagine designed to work with any Nolting stitch regulated machine on a Nolting commercial (steel) frame. Begin your ‘delightful” longarm quilting journey today! Click/tap on photos below to zoom image.